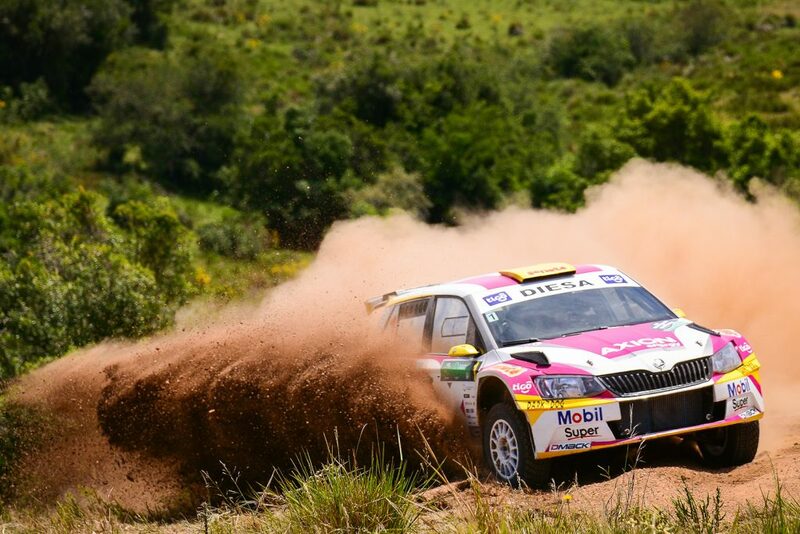 Miguel Zaldivar took the victory in the fifth and final round of the CODASUR South American Rally Championship, the Rally del Atlántico (24-26 November) in Uruguay, as fellow ŠKODA FABIA R5 driver Gustavo Saba was crowned CODASUR champion in dramatic fashion. 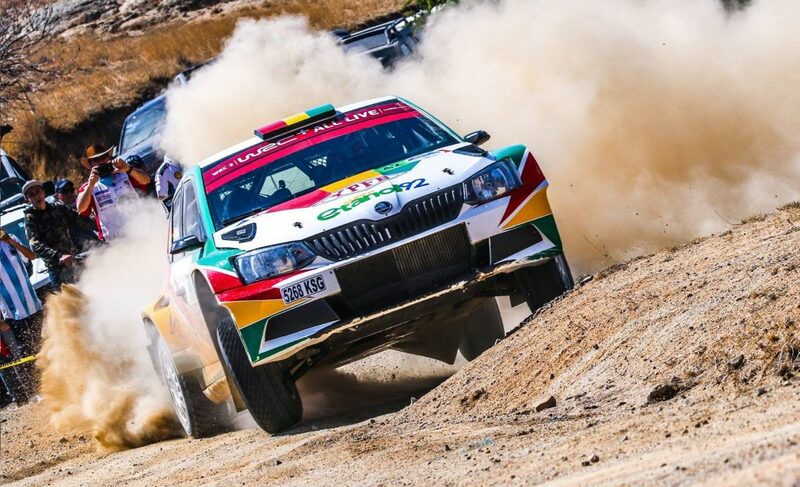 Zaldivar and co-driver Edgardo Galindo took advantage of the misfortune of others to end up 2 minutes and 34 seconds ahead of the field in their FABIA R5. 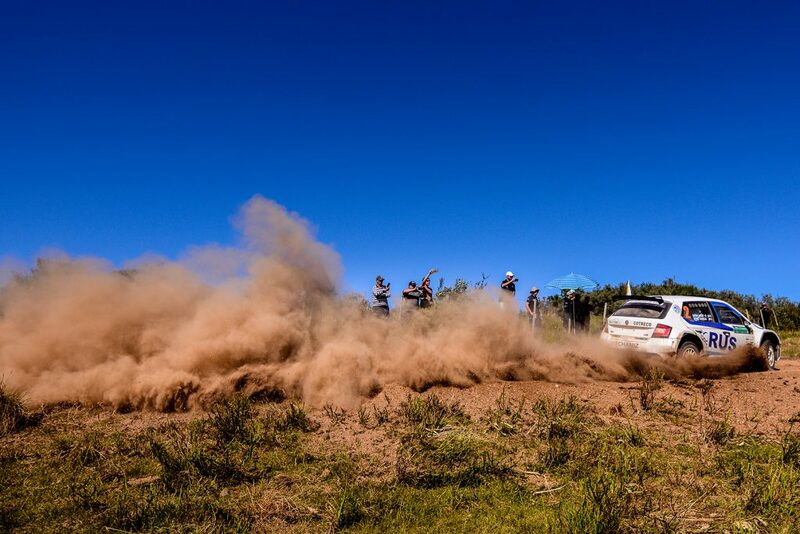 It was Zaldivar’s first victory in a CODASUR event this season and capped a good season for the Paraguayan who also finished the year third in the final standings of his own Paraguayan Rally Championship. Coming into this event, the talk was all about the Saba Compéticion teammates Gustavo Saba and Marcos Ligato. 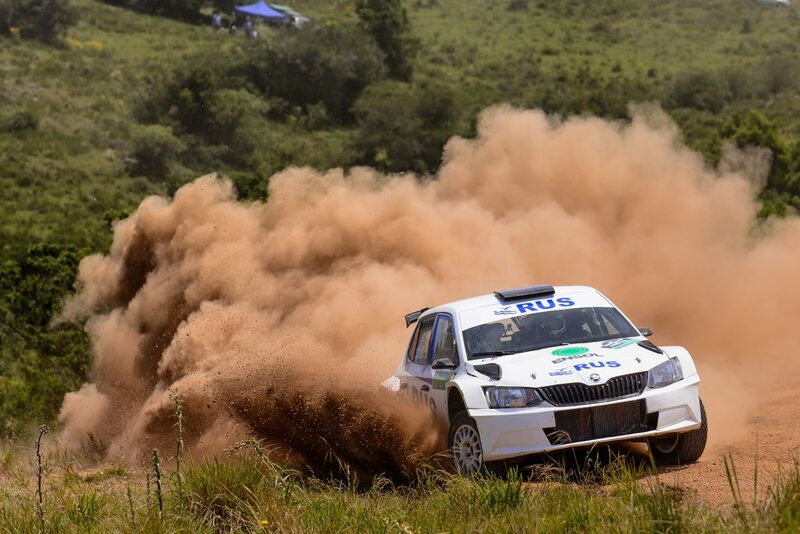 Saba held a one-point lead over Ligato in the CODASUR standings and the Rally del Atlántico was expected to be a race-off between the two for the title. But in the end, it didn’t quite work out like that. Saba driving alongside regular co-driver Fernando Mussano, started strongly and extended his championship lead by winning the first leg of the rally and with it securing extra points. 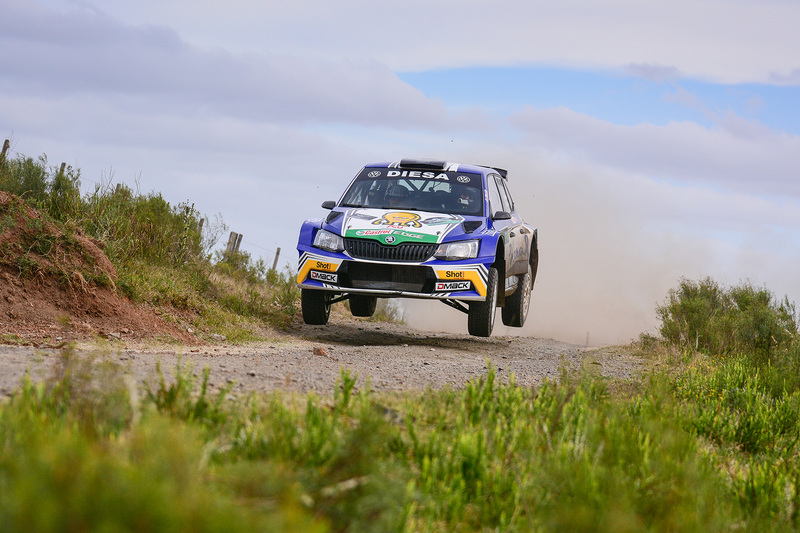 But there were just 0.6 seconds between the two FABIA R5s after the morning loop of the second leg and everything to play for. 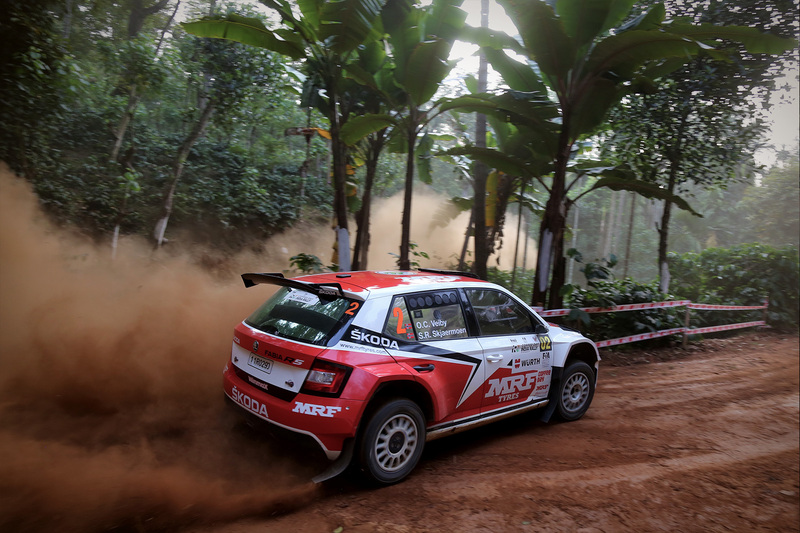 However, on special stage 11, Saba was forced to retire from the rally. 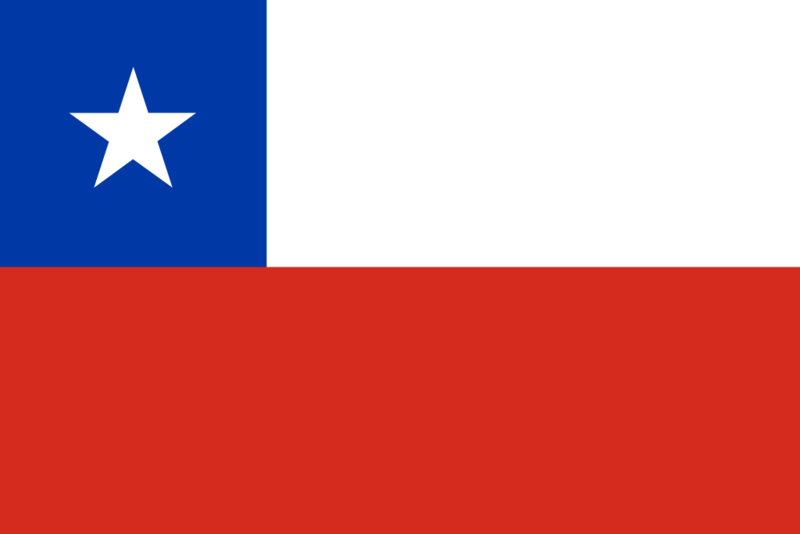 That retirement elevated Marcos Ligato to the top of the leaderboard and left him in prime position to claim the title. 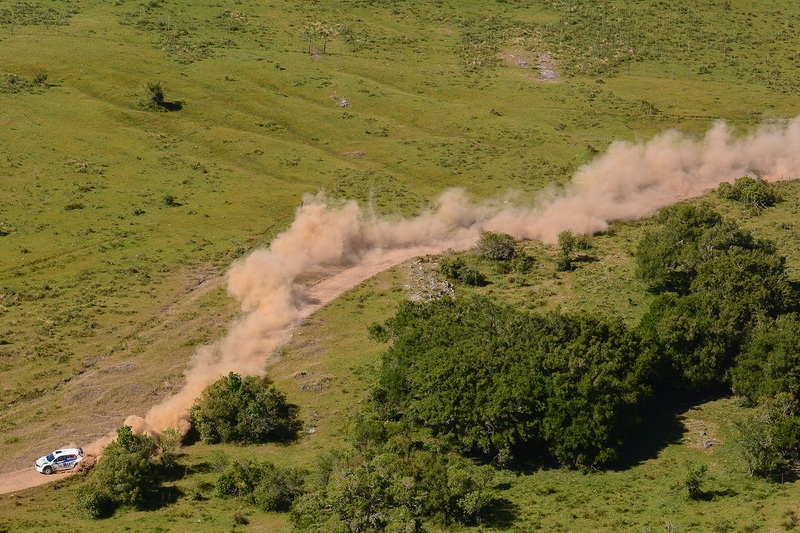 But disaster struck Ligato and co-driver Ruben Garcia just one stage later. 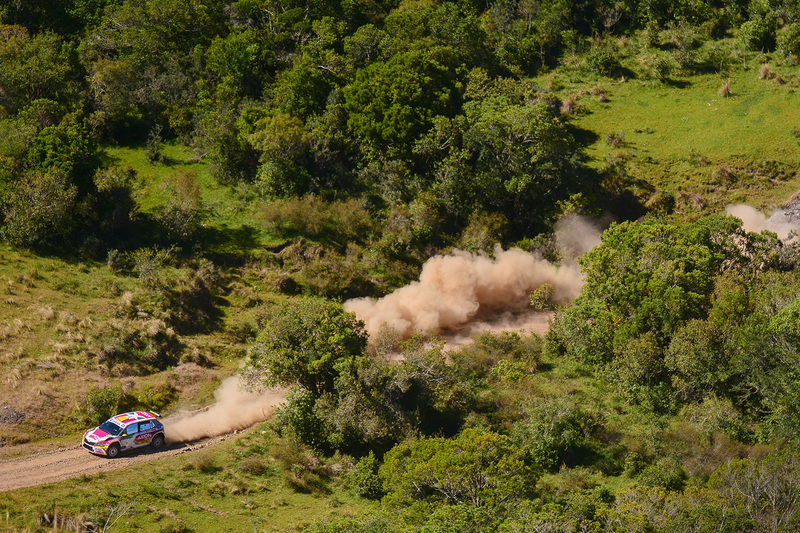 Trouble on SS12 cost the Argentinian duo 37 minutes and more trouble on SS13 saw him fall further back. 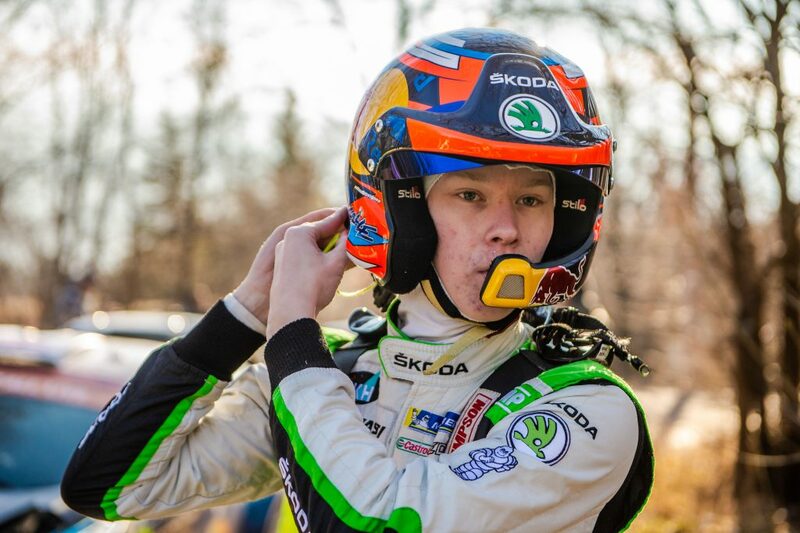 Ligato only managed to finish the rally in twelfth place overall, meaning he scored no points for either the second leg or the overall standings. As a result, it was Gustavo Saba who was crowned CODASUR Champion for 2017 by a margin of just 5.5 points. 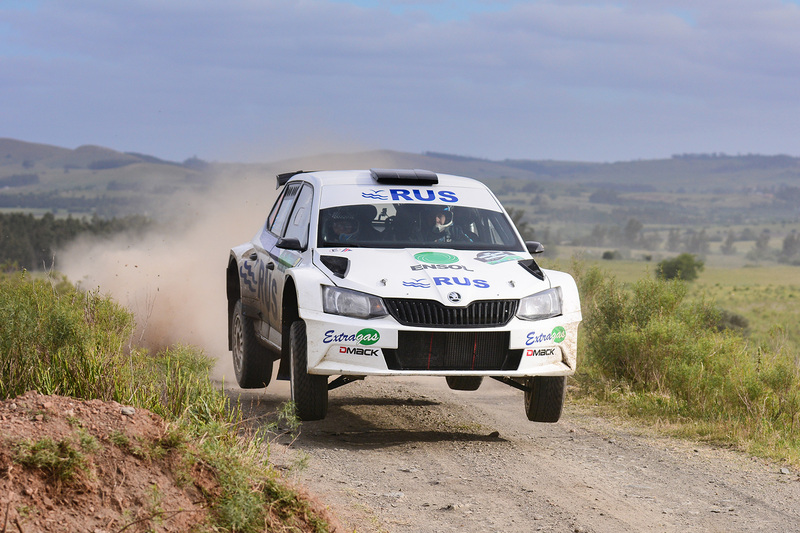 It is the fifth time Saba has been crowned CODASUR champion in his career and the second successive year he has steered a FABIA R5 to victory in both the Paraguayan and CODASUR championships. 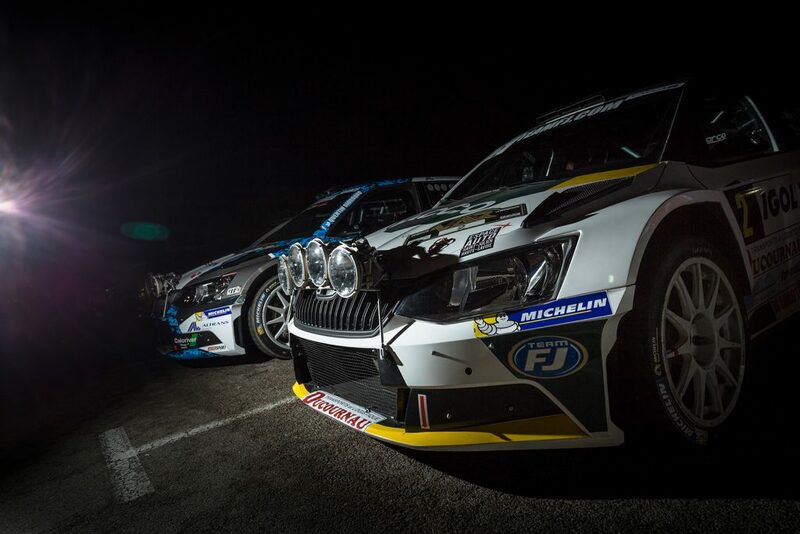 The Rallye du Var (24-26 November) was the ninth and final round of the French Tarmac Rally Championship and a compelling event saw the returning 2016 champion Sylvain Michel impress as five FABIA R5s finished inside the top 10. Michel was driving his first French tarmac championship event of the year but showed no signs of rustiness as he finished second overall and first in the R5 class for the 2C Compétition team. It was a consistent drive from the Frenchman, who was competing alongside co-driver Fabrice Gordon. 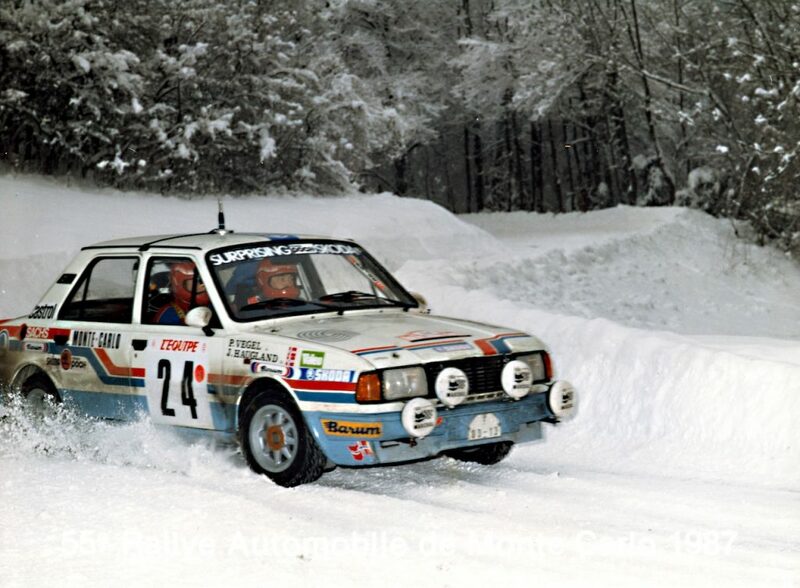 He took three stage victories and only finished outside the top 3 once. 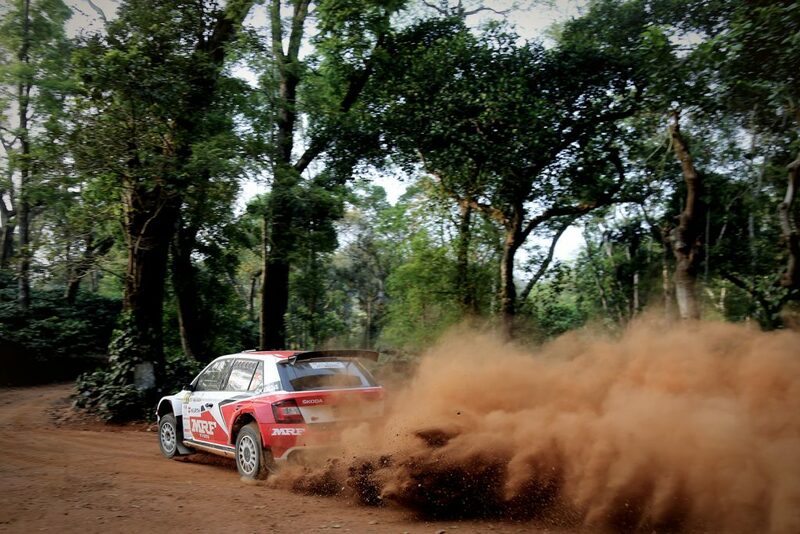 He ended up just 19.3 seconds behind the overall winner, who was driving a more powerful WRC-spec car. The Sébastien Loeb Racing FABIA R5 of Quentin Giordano / Vincent Landais finished the rally in fourth position overall and third in the R5 standings. 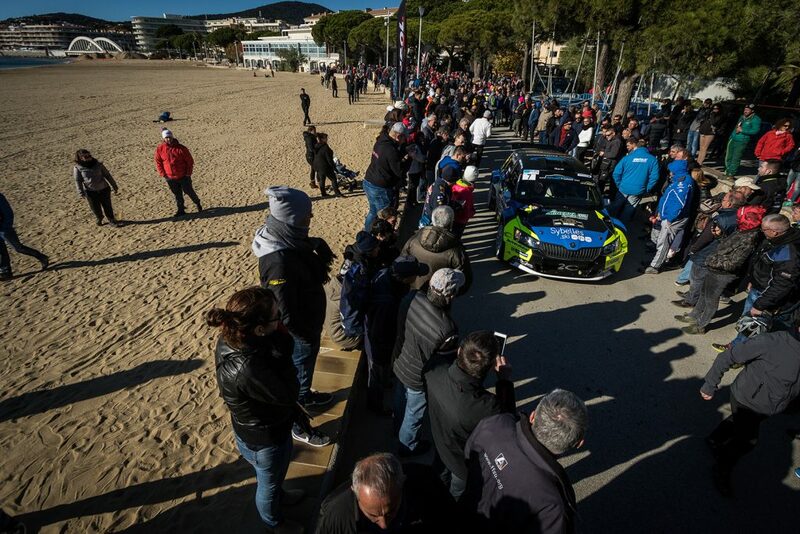 The points from that result were enough to ensure that Giordano would finish the season second in the final French tarmac championship standings. 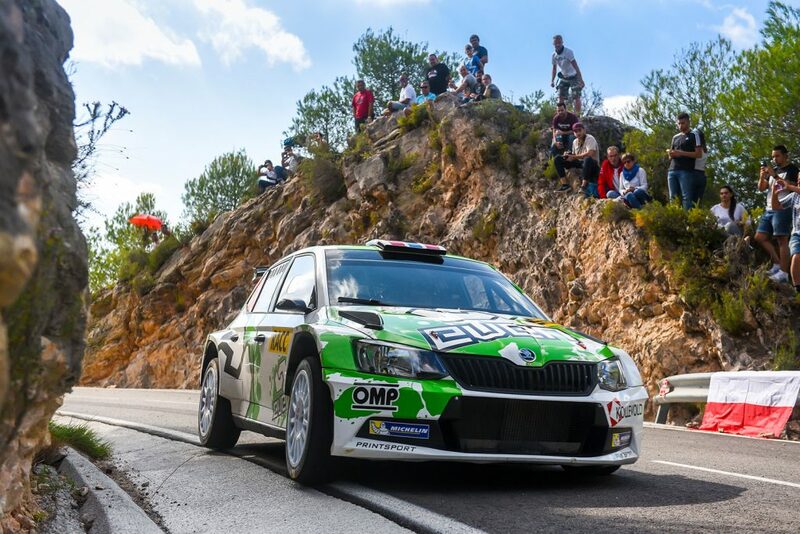 One place and 26.2 seconds behind them was the RTTC-Yacco FABIA R5 of Charles Martin / Maxime Vilmot. 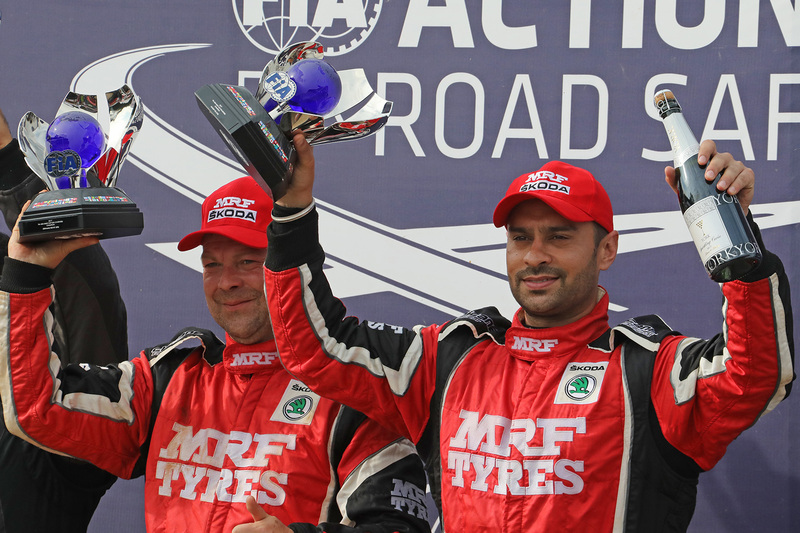 Their Team FJ prepared car suffered a puncture on the final stage of the second leg which cost them valuable time and in the end, this result meant they finished the season third in the French tarmac championship final standings. Driving his first ever rally in an R5 car, Guillaume Sirot have been pleased with eighth place overall. 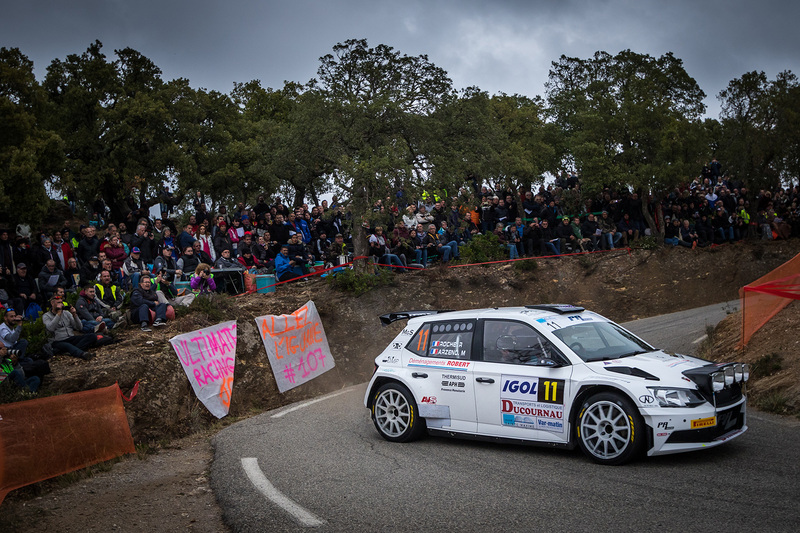 He was supported by co-driver Emeline Breuil and managed to finish fourth in two stages too. 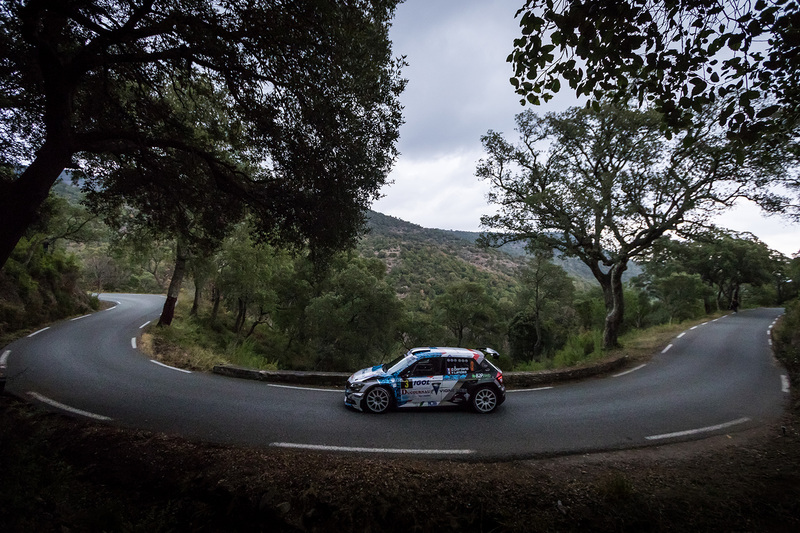 Meanwhile, the Team FJ pairing of Pierre Roché / Martine Roché finished the rally just 4.1 seconds behind Sirot in ninth place overall. An honourable mention too must go to Mathieu Arzeno and his co-driver Romain Roche. 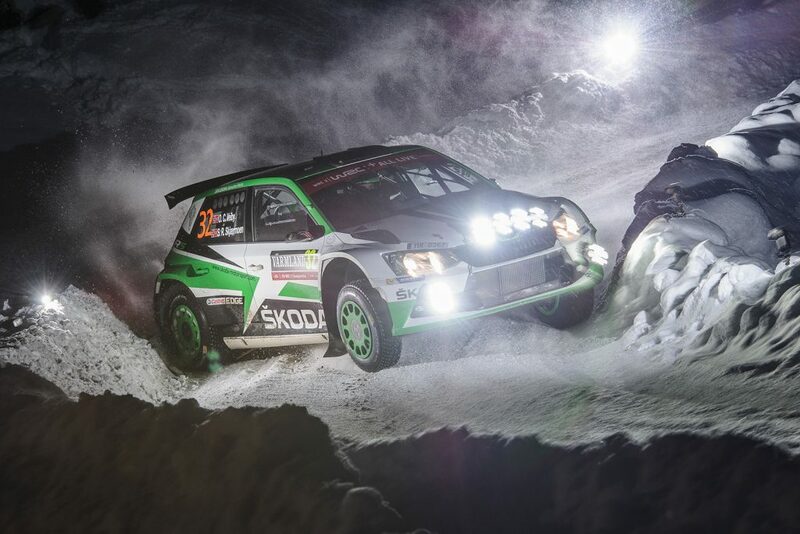 They made a really strong start in their PA Racing prepared FABIA R5 and won two of the opening three stages to lead after the first leg, before crashing out of the rally on SS4. 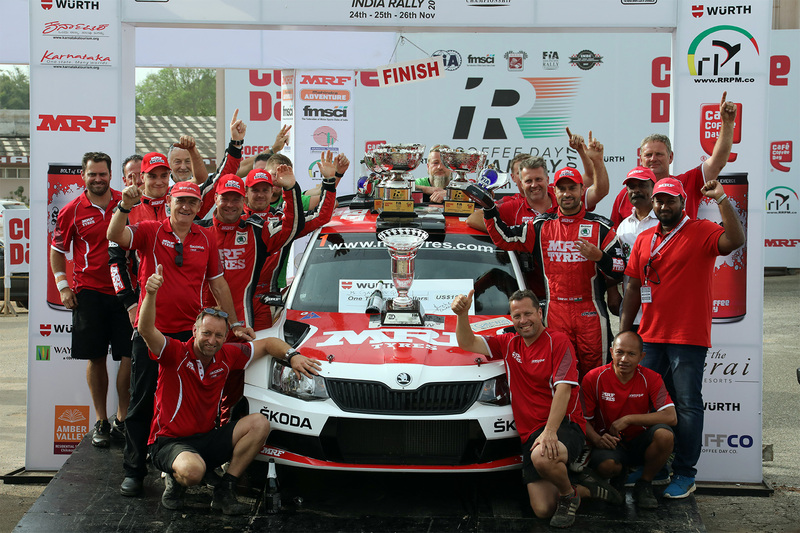 This week’s roundup begins in India, where Gaurav Gill / Stéphane Prévot took victory at the Rally India (24-26 November) to clinch the Asia-Pacific Rally Championship (APRC) for the ŠKODA MRF team. Gill dominated proceedings and led from start to finish to win his second successive - and third overall - APRC title. 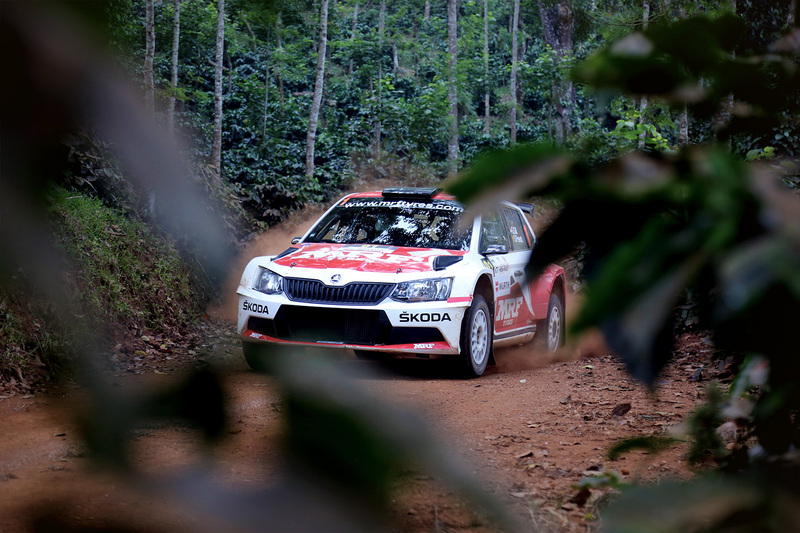 It is the sixth successive season that a ŠKODA has taken the APRC crown. At the tenth and final round of the Spanish Rally Championship at the Rally Comunidad de Madrid (24-25 November), Pedro Burgo / Marcos Burgo finished in fourth place for the ACSM Rallye team. 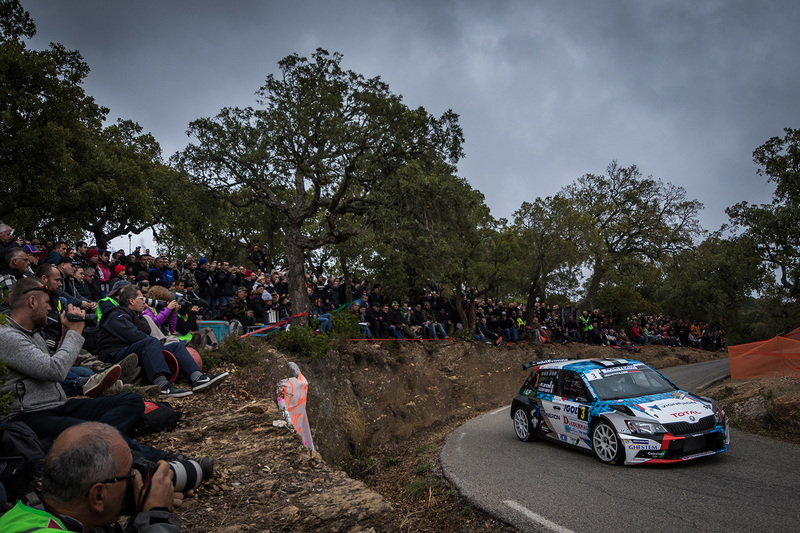 The result means they end the season in second place in the final Spanish championship standings. 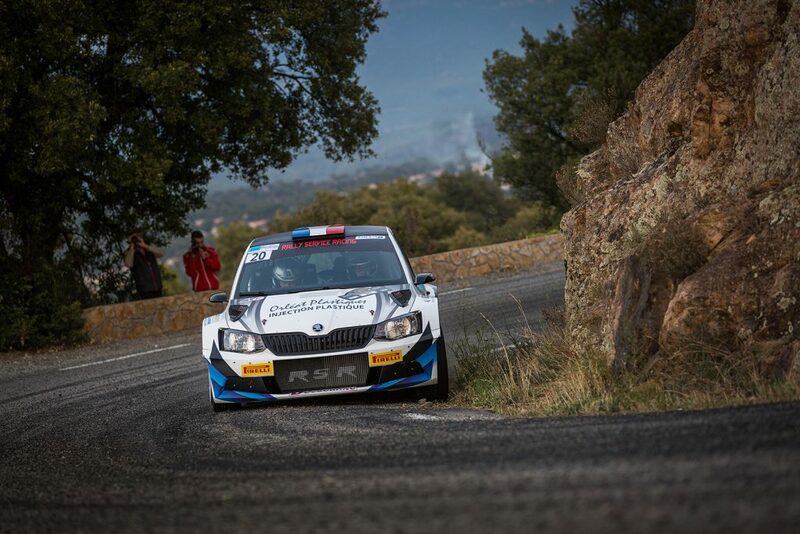 In Italy, at the Tuscan Rewind (23-25 November), which was the sixth and final round of the TER Series, Alessandro Taddei / Andrea Gaspari finished third overall and second in the R5 class for the Car Racing Team. This was just Taddei’s third rally in a FABIA R5 and also his third podium finish. 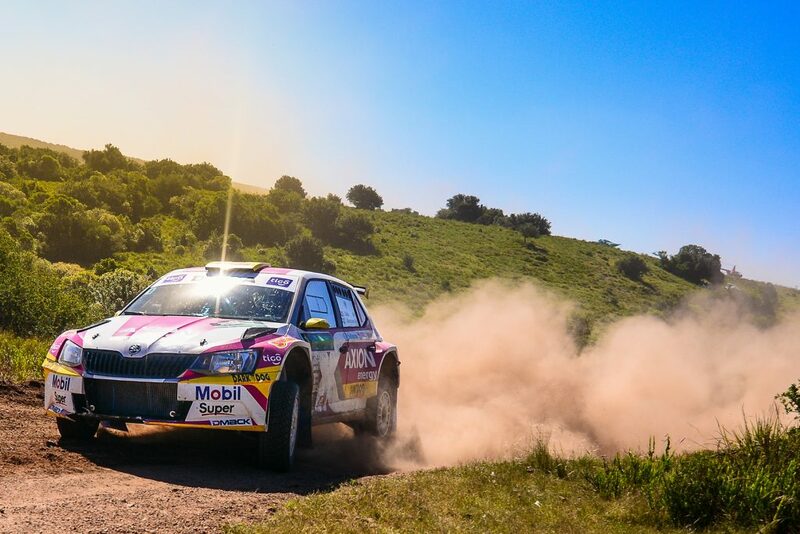 Just behind him in fourth place overall, third in the R5 class and second in the TER Series standings were the Argentinian pairing of Juan Carlos Alonso / Matias Mercadal. 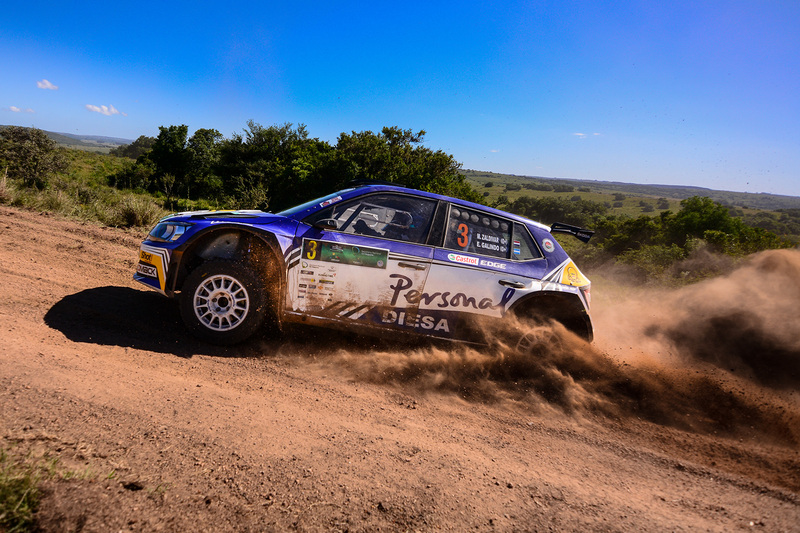 Alonso was also driving his third ever rally in a FABIA R5 and previously finished second in the WRC2 standings at the Rally Argentina back in April. 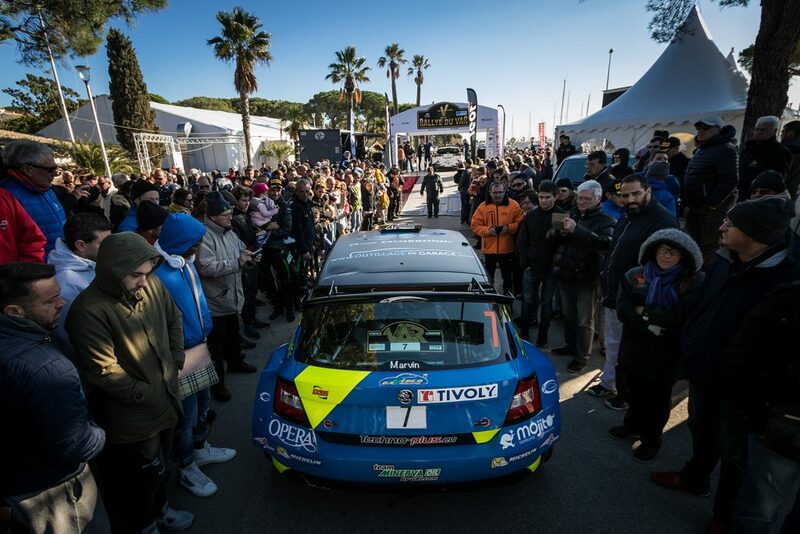 Vanio Pasquali / Mauro Grassi finished one place further back, again for the Car Racing team. 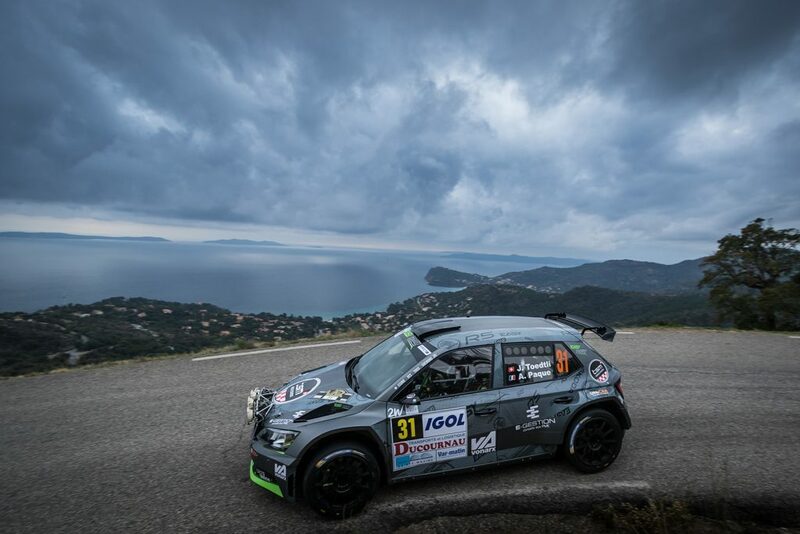 Elsewhere in Italy, at the Rally Terra Sarda - Rally della Gallura Anglona e Valle del Coghina (25-26 November), Vittorio Musselli secured his first podium finish in a FABIA R5 in just his second drive in the car. 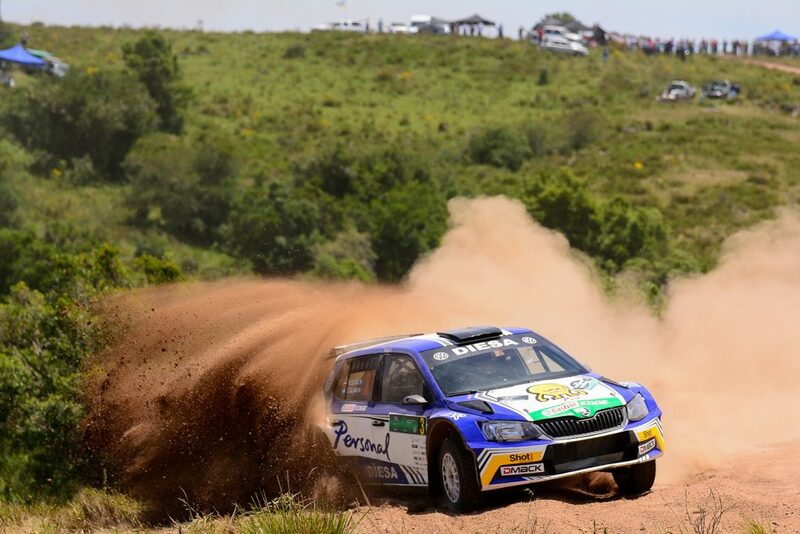 He finished second overall alongside co-driver Claudio Mele for the Porto Cervo Racing Team, in a car prepared and run Colombi Racing. 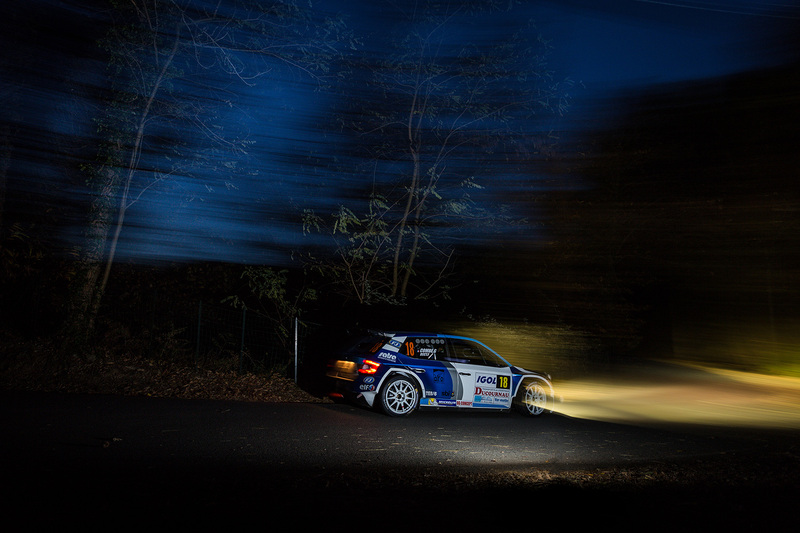 To Croatia, where there was a victory for Péter Ranga at the Rally Show Santa Domenica (25-26 November). 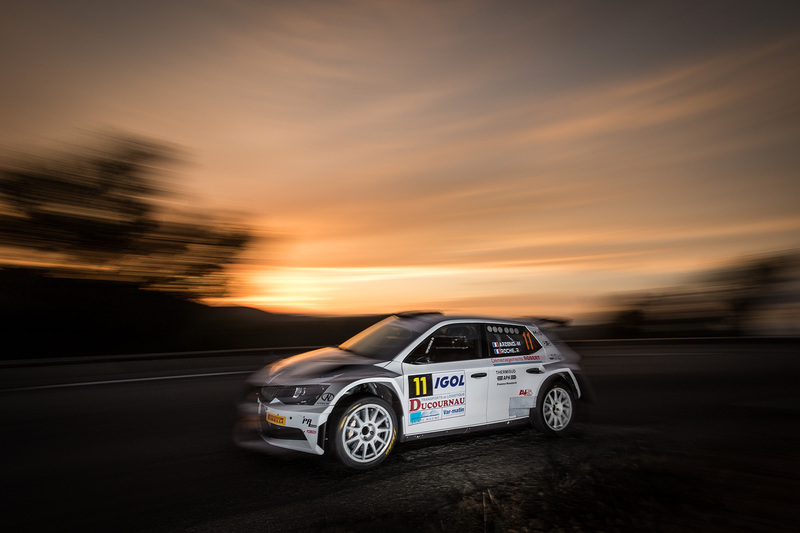 Driving alongside co-driver Tamás Szöke, in a car prepared and run by Topp-Cars Rallye Team, he finished 14 seconds ahead of the field in what was just a four-stage event after the final stage was cancelled. 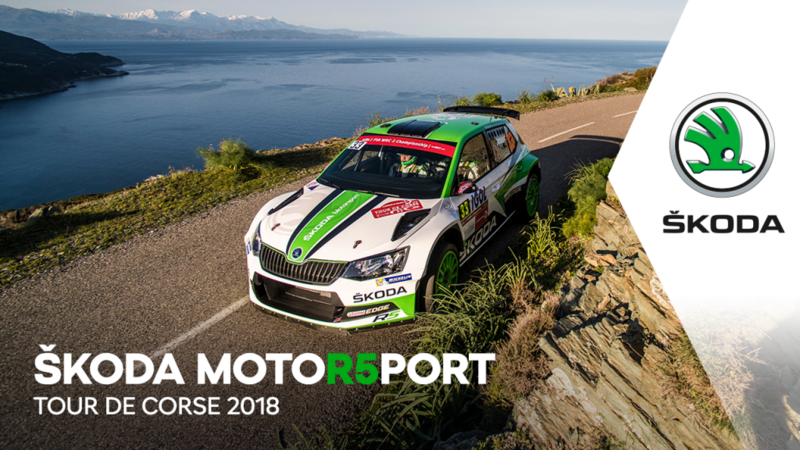 Ranga led home four FABIA R5s in the top 5 places, with Austrians Andreas Aigner / Ilka Minor-Petrasko in second place in a car prepared and run by Eurosol Racing Team Hungary. 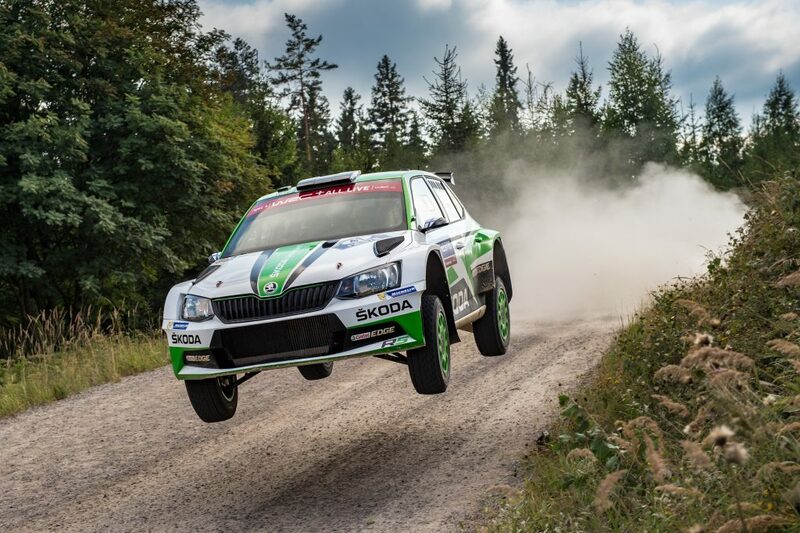 Krisztián Hideg / István Kerék were in fourth place in their FABIA R5 which was prepared and run by Korda Racing, while János Puskádi finished fifth for his own Eurosol Racing Team Hungary alongside co-driver Barnabás Gódor. 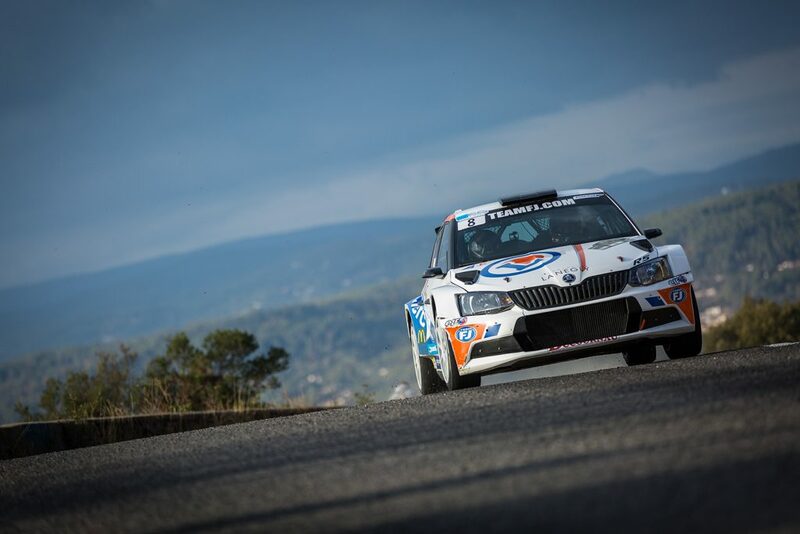 At the Pražský Rallysprint (25 November), which took place in Prague, Grzegorz Grzyb / Michał Poradzisz finished second overall and first in the R5 class for Rufa Sport, in a FABIA R5 prepared and run by MM Rally Team. 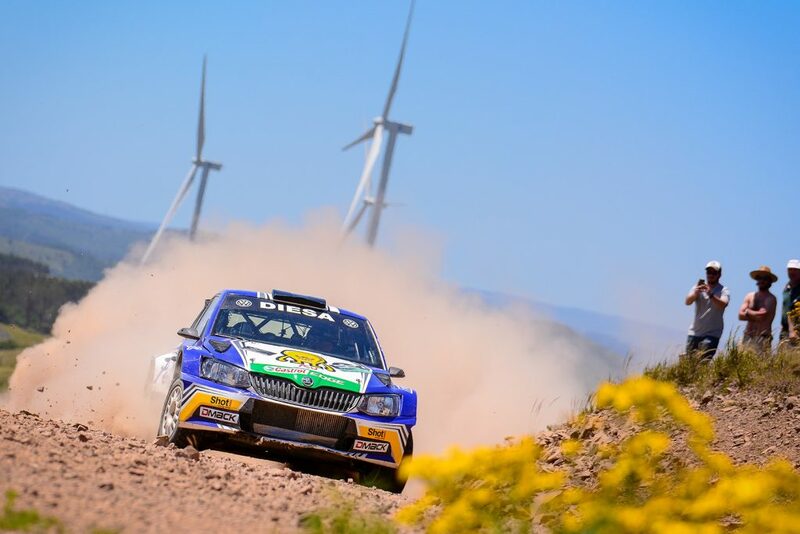 In third place were Karel Trněný / Christian Doerr, who were driving a FABIA WRC, while Pavel Valoušek Jr / Veronika Havelková steering their FABIA R5 to fourth place overall and second in the R5 standings for the Icari Rally Team. Vojtěch Štajf / Marek Klokočka finished one place further back for the Klokočka ŠKODA Czech national team, in a car prepared and run by Racing 21 team, while Karel Trojan Jr / Jakub Sobota were eighth overall for the J-M Motors team, in a car prepared and run by Korno Motorsport, and Igor Drotár / Vladimír Bánoci finished tenth for the Drotár Autošport team. And finally, Belgian rally champion Vincent Verschueren and his co-driver Veronique Hostens won the 6 Uren van Kortrijk (25-26 November) in Belgium for the GoDrive Racing team. They finished more than two minutes ahead of the field. 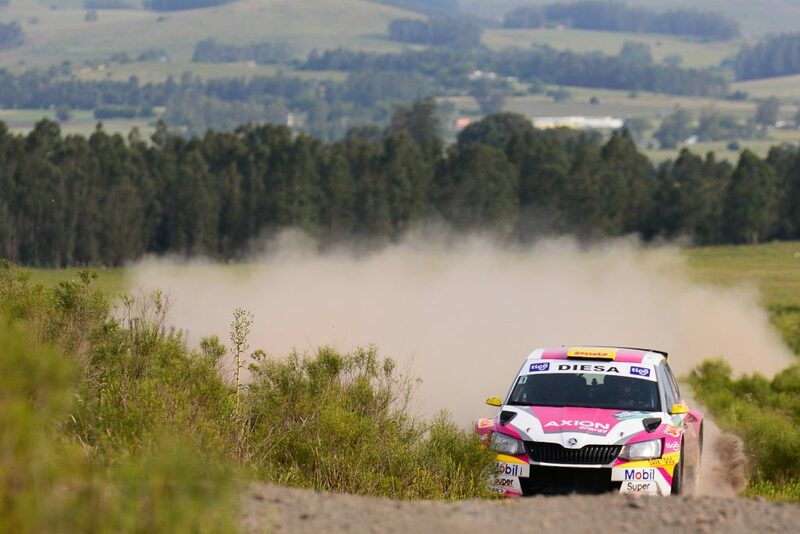 Melissa Debackere / Cindy Cokelaere were third overall for the Autosport Debackere team in a FABIA R5 prepared and run by Wevers Sport, while Paul Lietaer / Michiel Feys managed to steer a FABIA WRC to fifth position. 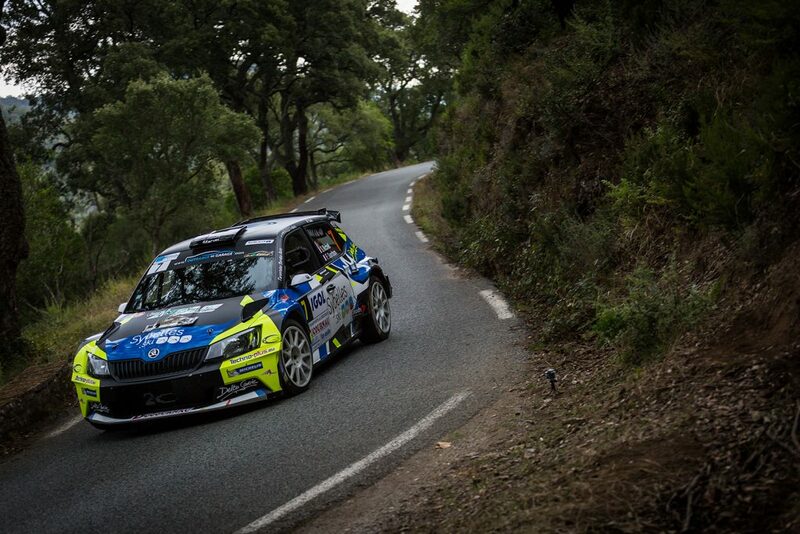 Steve Bécaert came home in seventh position in just his second drive in a FABIA R5 prepared and run by SXM Compétition, alongside co-driver Nico Beernaert.